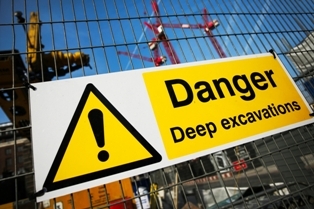 Construction accidents often result in serious injuries or the death of the victim. If you were hurt in one of these accidents, you may be facing months of medical treatments and time off work with no pay while you recover—if you can return to work at all. You may be wondering who will compensate you for your damages and how to go about getting the damages you deserve. Do you need an attorney to help you with this? The answer is almost always yes. Complex laws. There are many complex federal and state laws that govern construction sites that could have been violated in your case. To make matters more complicated, Texas is one of the few states that allows employers to opt out of offering workers’ compensation benefits. Chances are your employer has taken advantage of this opt-out option. You need an attorney who understands the laws that apply to your case—including nonsubscriber employer laws. Multiple liable parties. Depending on the cause of your accident, more than just your employer could be liable for compensating you. Subcontractors, engineers, and manufacturers are a few of the potential additional parties you could seek compensation from. Identifying the parties responsible in your case is challenging, but critical to enabling you to recover all of your losses. Investigation of your claim. Proving your employer’s and other parties’ liability requires a thorough investigation into the accident scene, your employer’s safety practices, and much more. An experienced attorney will understand the importance of this to your overall settlement and how to conduct the investigation—difficult since your employer will most likely be less than cooperative. Value of your claim. An attorney who has handled many other construction cases will know the true value of your claim. Intangible but important damages like for your pain and suffering are hard to calculate but can significantly increase the amount of your settlement. You simply do not have the expertise to determine this and would very likely accept much less than you are entitled to if you settled your case on your own. Negotiation of your settlement. Negotiating a settlement with any insurance adjuster takes skill, and you would be at a serious disadvantage on your own. These cases are even more complex to settle because more than one party could be liable, and they will try to point the finger at each other. In addition, your attorney may need to conduct settlement negotiations with multiple parties at the same time—not easy for you to do by yourself. At the Hart Law Firm, our legal team understands the importance of seeking compensation from all potentially liable parties and of beginning an investigation into your case immediately. Start an online chat or fill out our online form to schedule a free case evaluation.